Turmeric isn’t just for savory dishes! 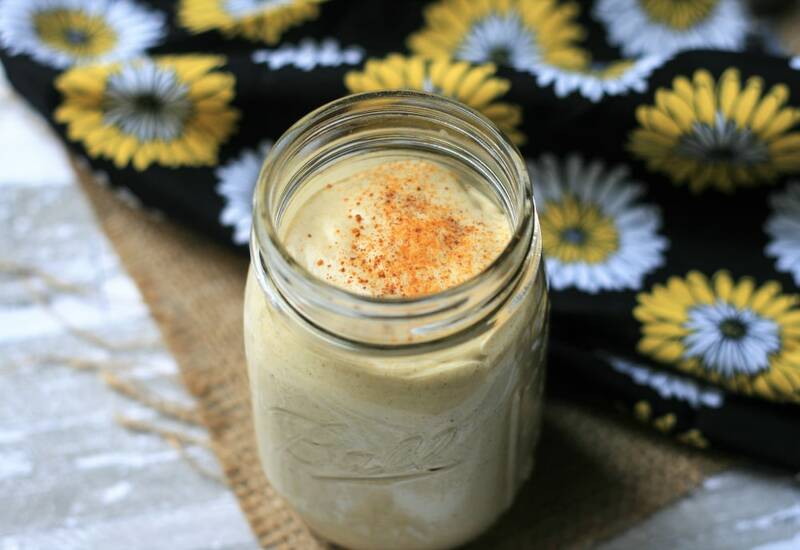 When added to a smoothie, turmeric’s lovely golden hue and its potential anti-inflammatory properties make this shake not only healthy, it will brighten up your day! The small pinch of black pepper further enhances turmeric’s beneficial effects. Make this for an on-the-go breakfast or snack that will keep you going until your next meal! Place coconut milk, avocado, sweetener, ¾ teaspoon turmeric, ginger, ¼ teaspoon cinnamon, Himalyan salt, black pepper, and ice in blender cup. Blend on HIGH using an immersion blender fitted with the blade attachment in an up and down motion until smooth. Garnish smoothie with a pinch turmeric and a pinch cinnamon. Canned coconut milk tends to separate during storage. Scrape can contents into a jar and blend with immersion blender before measuring. Adding salt to a smoothie helps bring out all the wonderful flavors. Use your preffered keto-approved sweetener. I recommend an erythritol blend such as Swerve, which measures like table sugar; other options include monkfruit, liquid stevia, or xylitol. Refrigerating the avocado helps make the shake colder. Use a blender if you don't have an immersion blender. Per Serving: 288 calories; 29g fat; 8.3g carbohydrates; 3g protein; 0mg cholesterol; 35mg sodium.